Writing can be a difficult and intimately personal undertaking. We all have different approaches, different voices, and different methods for the way in which we weave words. There are lots of ways to write a book, and a problem I’m seeing a lot in writing classes, blogs, and instructional books is the expectation of imparting the One True Way to write. It’s like being told the only way to walk down a street is by carrying yourself in a very specific posture. Yes, maybe it’s effective to throw your shoulders back and walk an even stride, but what if you want to run? What if your leg hurts, and you have to limp? What if you’re so happy, you want to skip? You still get yourself down that street, don’t you? Think of the books you’ve read. Some were mostly dialogue, and read like screenplays. Some were densely detailed, with evocative, lyrical prose. Some focused entirely on the character’s internal journey through an intense emotional change. Some were all plot, with twists and turns that blew your mind and characters that were mostly just vehicles for the reader to hop into and enjoy the ride. Some writers used clipped, sparse writing. Short sentences with which to convey their worlds. Others use sentences that twist and turn in their own right, snaking down the page like a coiling of ribbon. Some books are works of art. Some stories stick with you your whole life. Some entertain you for an afternoon. No story, no book, and no writer’s style is inherently more valid than another’s. So when people heap rules on you, that This is the way your sentences should work, This is the kind of writing that is worthwhile, This is how to tell a story, and This, and This, and This makes you a good writer, while This, and This, and This does not–don’t worry. Don’t panic. And don’t quit. Every story is going to tell itself differently. No two writers are going to wield their pen in the same way. There are lots of ways to write a book. And there are lots of books left to write. Don’t worry so much about whether you’re doing it correctly. Don’t worry so much if your writing is “right”. Every book is different. Write yours however you want. 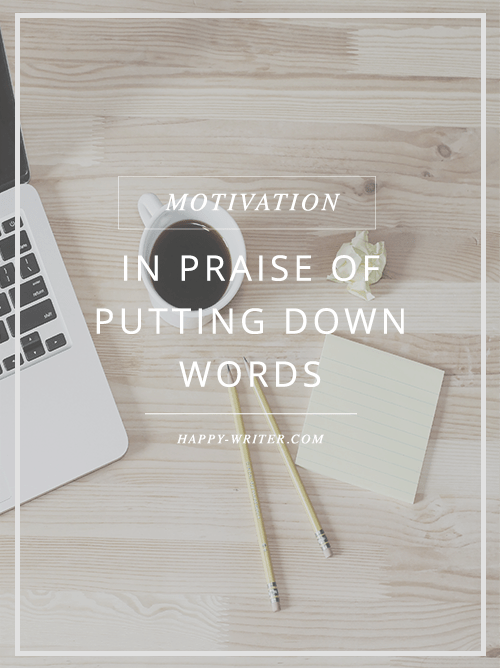 Follow Happy Writer on BlogLovin to keep up to date with posts on writing tips, tricks, and advice! What Are You Writing For? I love this. You are so right. Also, this is delightfully written and it means a lot to me.